What is Image Optimization and why is it Important for a Website? They say, “a picture is worth a thousand words” which is undoubtedly right. We love to interact with visuals rather than words. The importance of images on e-commerce, travel, and media websites have been increased over the time. According to HTTP Archive, on an average, around 64% of a website’s weight is comprised of images. If we are able to reduce the size of these images without reducing the image quality, then it will have a direct positive impact on page load speeds and user-experience of visitors on your websites. 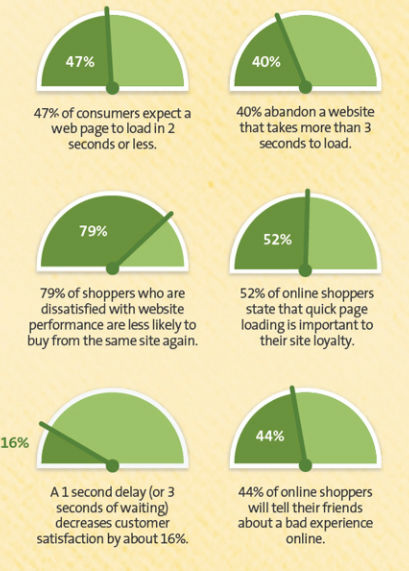 As per Gomez and akamai.com, half of the users love sites which load in less than 2 seconds. If the page takes more than 3 seconds to load almost 40% of visitors tend to leave that site, thus increasing the bounce rate. Image optimization is the only solution for this problem. Optimizing web images is a process of delivering the high-quality images in the right format, dimension, size, and resolution while keeping the smallest possible size. Image optimization can be done in different ways be it by resizing the images, caching or by compressing the size. 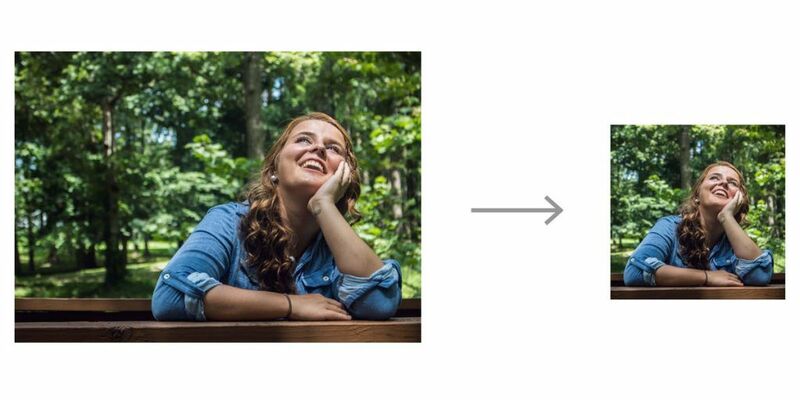 Here comes ImageKit, an intelligent Image Optimization tool which optimizes images using intelligent compression algorithm. Combined with a global content delivery network (CDN) for faster delivery, it can improve your website performance significantly. 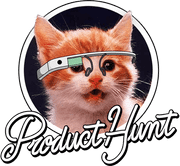 The importance of images in connecting users to your products has been proven. 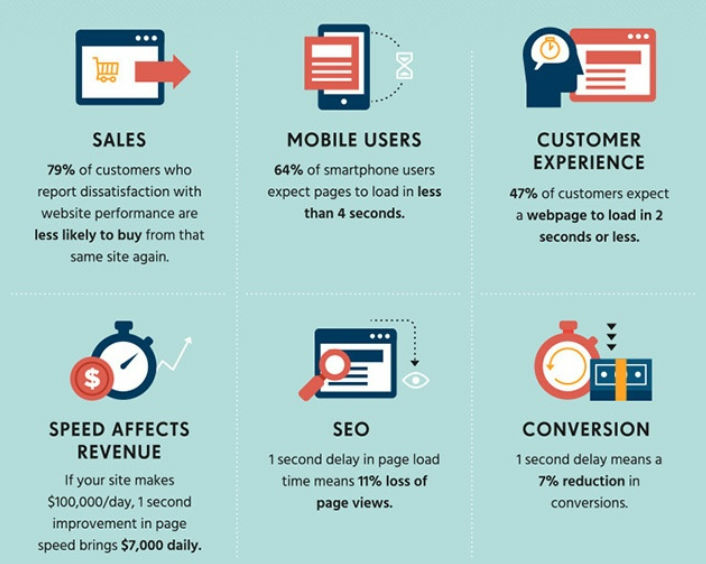 If your website takes more than 3 seconds to load, users are more likely to abandon it which will drastically increase your bounce rate and eventually, it will affect your conversions. Improves Page Load Speed: Page load speed is the amount of time taken by a web page to load completely. It depends on many factors from your website host to website layout & design. 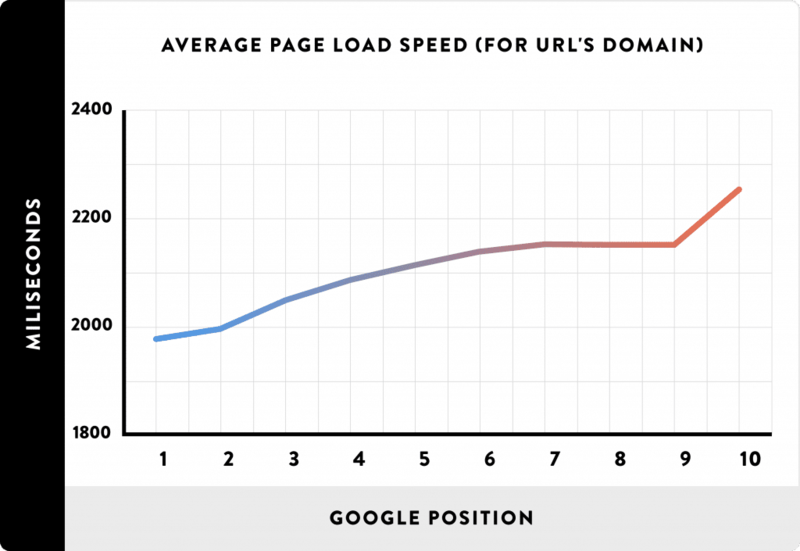 The websites having less than 2 seconds load speed are most loved by its users. So, if you are optimizing 64% of your website’s weight which is images, you will be improving your website speed. It will give your website visitors a faster experience, thus more users would interact with your product and services. There are many tools which can help you in analyzing your page load speed such as Google’s PageSpeed Insights, Web Page Test, and ImageKit’s Website Analyzer which will give you the complete insights about your web page. Click here to download infographic, illustrating 20+ stats on how speed affects your website. This infographic was made by Hosting Tribunal and the original blog on Hosting Tribunal talks in detail about impact of load speed on your website. This is Google’s Page Speed Insight Tool. It checks the page load speed on mobile and desktop devices and suggests you some recommendations. Here you can see that Image Optimization is also one of the suggestions to improve page load speed. 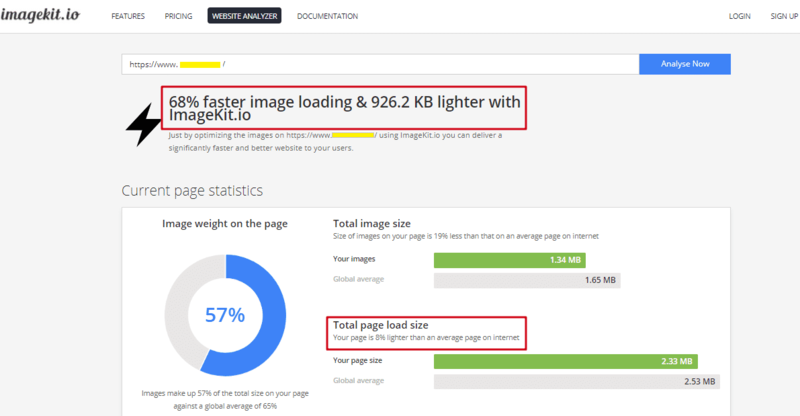 Website Analyzer tests the given URL and lets you know the scope for image optimization. Improves SEO Ranking: Yes, in 2010, it became clear to all of us that page load speed is a ranking factor. Google also doesn’t love the slow websites just like its users. 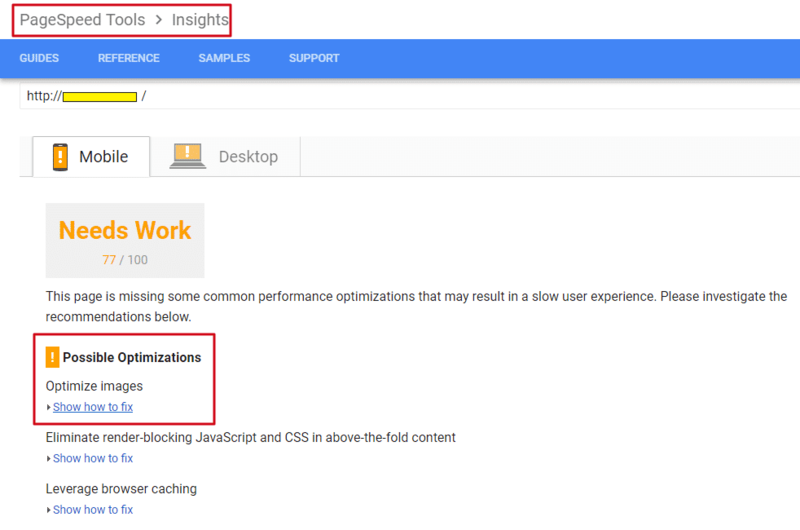 The Marketing Leaders such as Moz and SemRush has also published their insights about page load speed. Google rolled out this update in the year 2010 in its Webmasters Blog which reads, “Like us, our users place a lot of value in speed — that’s why we’ve decided to take site speed into account in our search rankings.” So, it is clear that the faster websites rank better in the search results as compared to slower oner. Every digital marketer can understand the importance of search ranking in today’s world. Who doesn’t want to get top ranking for its website pages? And one of the factors for this is the load speed of your web page. Thus, image optimization holds a great significance here. Boost Conversions: So, if your search ranking has improved then it means you can capture more users and possibly get more conversions. Page load speed is directly related to SEO ranking and conversions. There has been a lot of research by marketing leaders including Kissmetrics, Moz, etc about the conversions and page load speed. According to Kissmetrics, 79% of shoppers who are not satisfied with the web page speed or performance do not buy from the same site again. Enhance User Engagement: A happy customer is not a myth, definitely not for those websites which are providing a great user experience. And it can be your website too. All you need to do is to optimize your website images, improve your page load speed and thus, providing a better overall user experience. If your page is loading fast on all devices, a user will spend more time there. It has been stated in many studies that users are more likely to leave those websites which are slow. The web pages which load in 2.4 seconds experience 24% bounce rate. Your page load speed also increases the returning rate which means a customer who is getting a faster experience on your site would probably buy from you again. Therefore, user satisfaction and happiness also depend on page load speed which can be improved by optimizing web images. In this digital world, every factor related to your website performance matters. And the expectation of visitors is only going to increases with time. One can not ignore the amazing benefits of optimizing images. These benefits are not restricted to the page load speed and SEO ranking only. Image optimization is capable of turning up your conversion and revenue numbers. With ImageKit’s intelligent real-time image compression and resizing along with built-in global CDN, you can easily optimize images on your website or app. Sign up for the free plan now and deliver a perfect visual experience on your website. Do share your thoughts and experience with our product in the comments section below. In the subsequent post on image optimization, we will cover various techniques for image optimization in more details with practical example. Stay tuned! How to Optimize Images on a WordPress Website? How to Increase Conversions on Your Shopify Store?